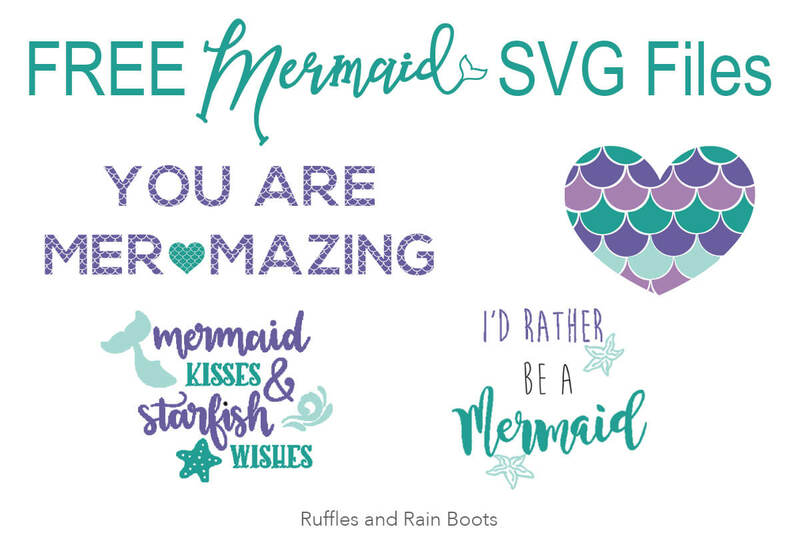 These free mermaid SVG files, fonts, and graphics are great for crafts, DIY projects, invitations, cards, and so much more. 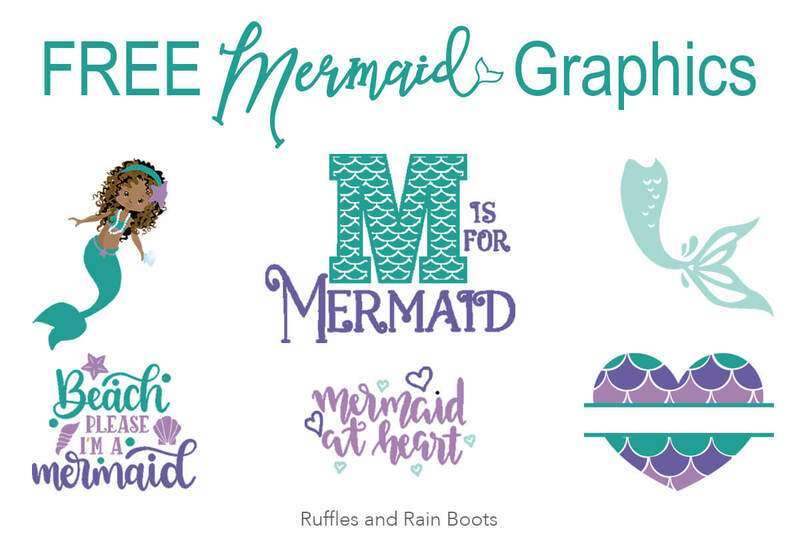 They’re perfect for Cricut, Silhouette, and any free program – click through to get your free mermaid graphics. 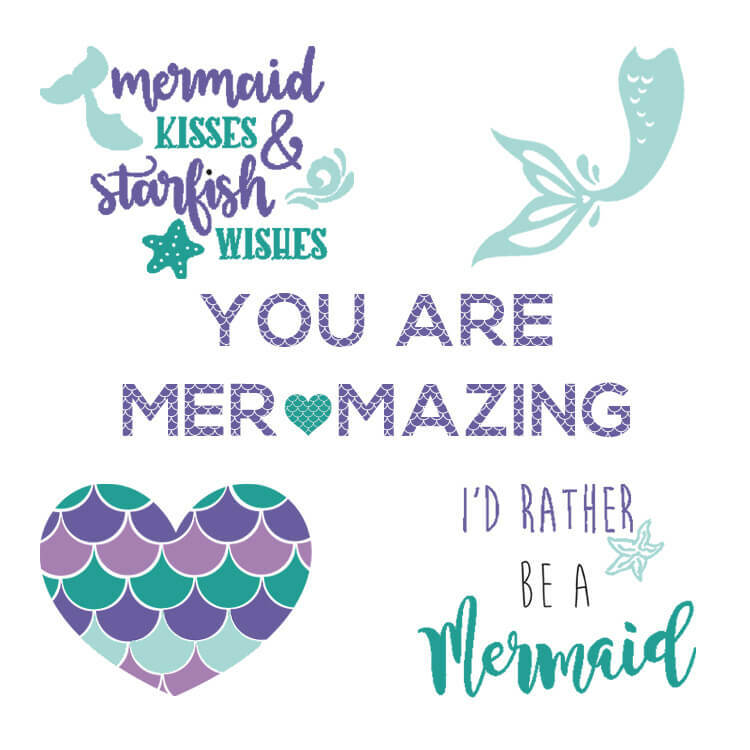 I’ve included a wide array of fonts, SVG cut files, and more to get your free mermaid crafting going. Some are commercial and some are personal. Be sure to check the licensing if you are making something for sale (I put the commercial license link next to it for you). We LOVE digital crafting here on Ruffles and Rain Boots – designing with Cricut, Silhouette, or just using your own talents is so much fun with free files. If you love to find free SVG files, cut file, graphics, and fonts, subscribe to hear when we publish our next series! Every crafter needs a few basics to keep on hand. Mermaids have a couple of distinctive features, so snag these free mermaid cut files while you can! Basic and great to have on hand for ALL mermaid crafts. If you’re into making something vintage, this mermaid is where you start. A collection of mermaid monogram SVGs should be in everyone’s stash. Commercial license only $2! Update: This is such a great free SVG cut file for a scalloped tea light holder a mermaid party or mermaid lover! Update: If you like a more streamlined look, this scales lantern was just added. There’s so much you can do with the handle on this one, too. This mermaid font is my happy place – too cute and you can see it in my images! Note: only a couple bucks for a commercial license. Not for commercial use, but this could be JUST the thing you’re looking for. This amazing mermaid font isn’t free but I love using it because it has SO many details included. I love it when I get a bit extra! I’ll be updating these free mermaid SVG and cut files as I come across them. Be sure to pin this to your crafting board on Pinterest to make it easy to check back. This sounds like our mindset when we’re at the beach. Commercial license $2. Getting into the mermaid mood (spirit and heart) – commercial license only $3! Don’t mess with a mermaid, friends. Why? Because… Commercial license $2. One of my ALL.TIME.FAVORITE.MERMAID.SVGs ever. So stinking cute! I love this mermaid saying, especially for a little girl. Commercial license $2. This is probably the best mermaid bundle deal I’ve seen. It’s SO inexpensive and comes with fonts, patterns, and images. Wow! And by the way – you can buy EVERYTHING in her shop for less than a movie ticket. Niiiice. I laughed out loud at this. And then I laughed some more. For adults or older teens. Because mermaids have to stick together. If you’re looking for mermaid monograms, these are the ones I bought. Similar to the monograms I shared above, this split tail is gorgeous!! You can subscribe to our once-weekly email newsletter here to get updates on all of our digital crafting collections.